Providing electric power to remote, cold regions at high latitude or altitude can be an expensive and technically challenging task. Photovoltaics (PV) provide a reliable and cost-effective solution yet their potential is underdeveloped, in part because of a lack of knowledge about their effectiveness in cold climates. This book illustrates the potential and the techniques for using PV in cold climates. 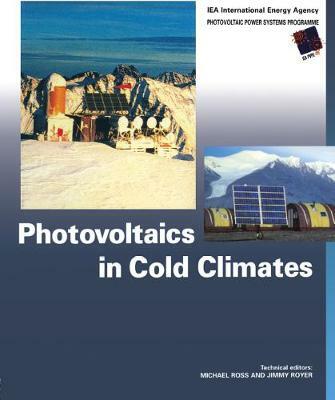 The book starts with a general section illustrating how PV can be applied in cold climates, with a succinct overview of the main considerations and chapters covering both the solar resource and the economics. It then covers the effects of cold climates on PV systems looking at the issues around the array and electronics, the battery and energy management. The third section covers design considerations and possible configurations (stand alone/battery systems, hybrid systems, seasonal storage and system simulation). The next part covers installation and operation and the book concludes with several case studies. The book will be invaluable both for all managers charged with providing power to cold climates whether for dwellings, other buildings or technical installations and for all technicians, engineers, installers and researchers working on such installations. It will also be of great interest to those working with PV in any form, or interested to see PV technology reach its full potential.